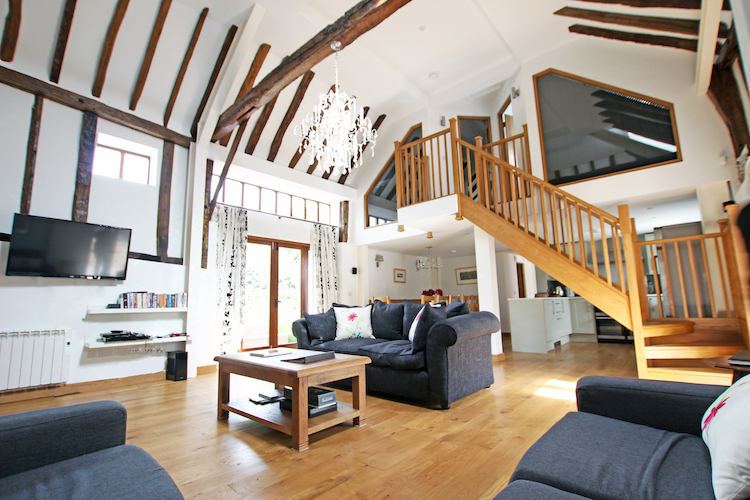 Luxurious barn conversion in Wealden countryside with Visit England gold award. 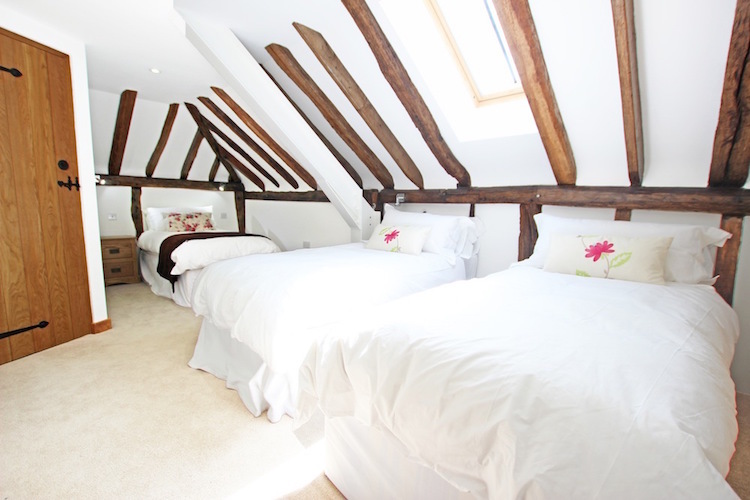 The original barn dates back to the mid 19c and was stabling for a former Coaching Inn. Much of the original features have been retained and the blend of new and old has been managed perfectly by the owners and a team of skilled craftsmen who clearly know their job. You are bordering meadows and forestry with some great walking opportunities directly from the barn. 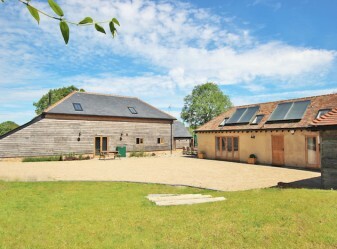 This is a very central location for the whole family to enjoy the stunning English countryside. Free-range chicken and duck eggs, vegetables and home reared meats are available to purchase during your stay. 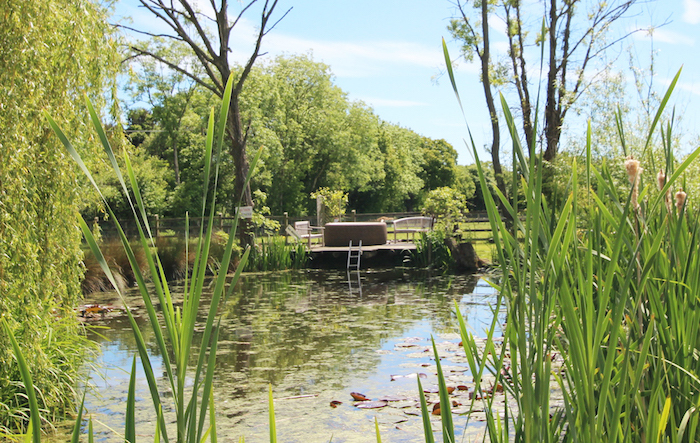 The Farm Spa is a short walk away where you can pre-book a range of massages, facials and therapies for during your stay. Along with use of a sauna the property now includes access to a 6-person hot tub in the court yard, both by appointment and for age 18+ only. 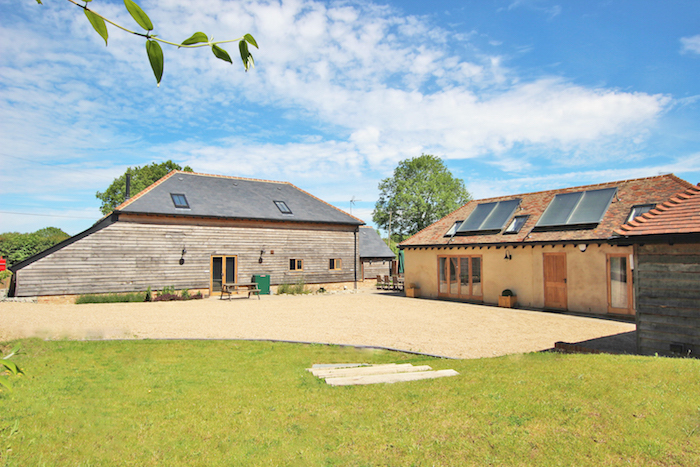 The Coach House comprises of two buildings, the main barn with 4 bedrooms sleeping 10 and the adjacent annex. Sleeping 12 people in beds (without compromise!) and a day-bed in its own room to sleep up to 14. 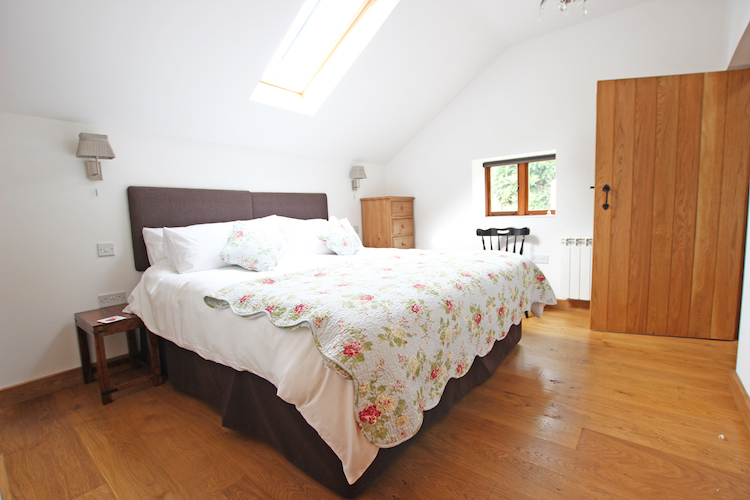 On the ground floor of the barn are 2 double bedrooms with super king-sized beds, both with en-suite shower rooms including WC and basins. One of these is a wet-room with some disabled facilities. 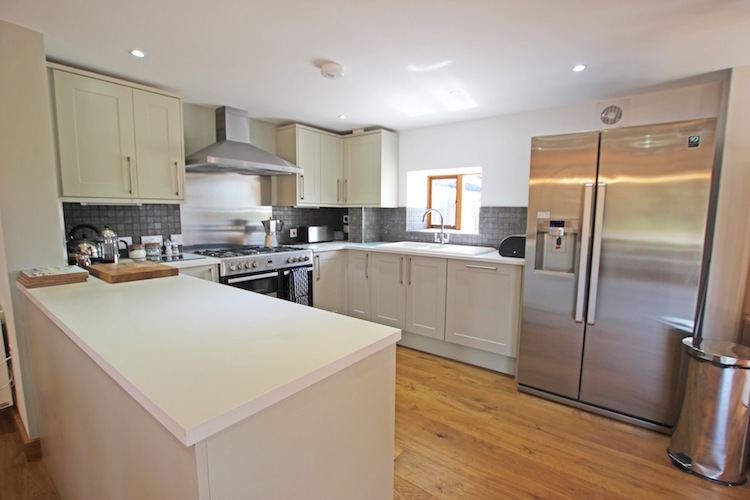 There is a contemporary, well equipped, open-plan kitchen, dining area with a range cooker and a large dining table. 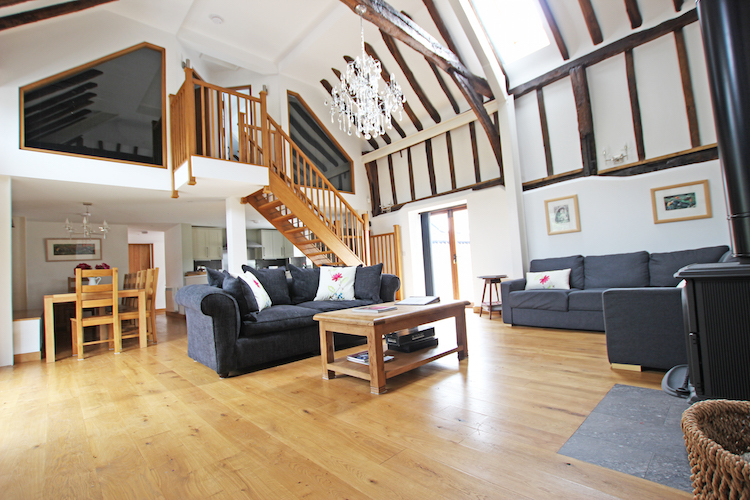 A huge sitting room with amazing barn-height vaulted beamed ceiling and log-burning stove is also on the ground level along with a further bathroom with bath, WC and basin. 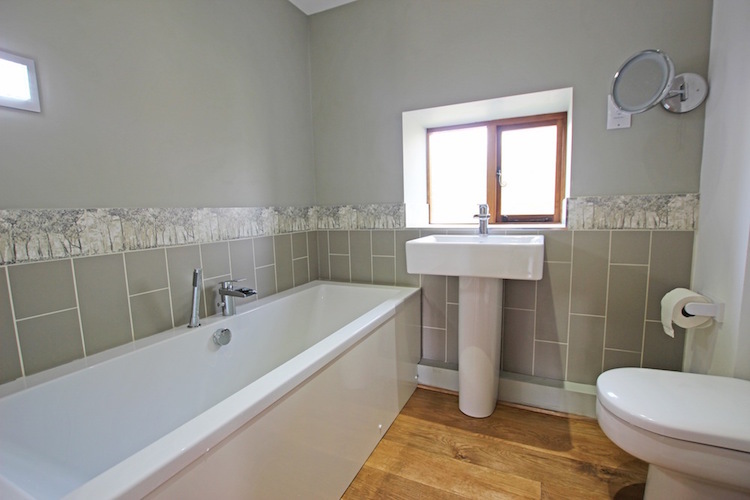 Upstairs are two further large bedrooms each providing 3 single beds, these share a bathroom with bath/shower, WC and basin. 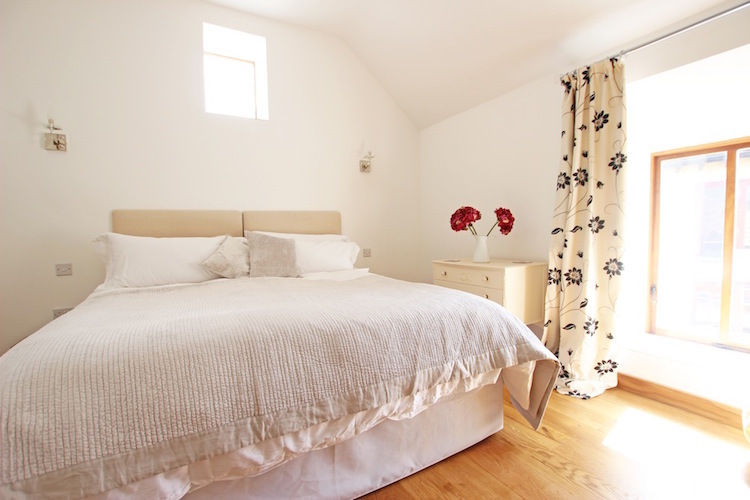 The annex provides a further super king-sized bedroom, with en-suite shower room including WC and basin. The adjacent garden room, with 50in flat screen TV and floor based games plug in connection, sofa and piano, includes a further quality day-bed to create a sixth sleeping area (which can be made as twin singles or a super-king) for the 13th and 14th guests, also with its own w/c with basin. Outside you have a patio area with gas BBQ, courtyard garden with secluded grassed bank and a child-safe pebble pond. Also a large, open double-bay garage is included with the property and plenty of off road parking. booked with the owner during your stay. 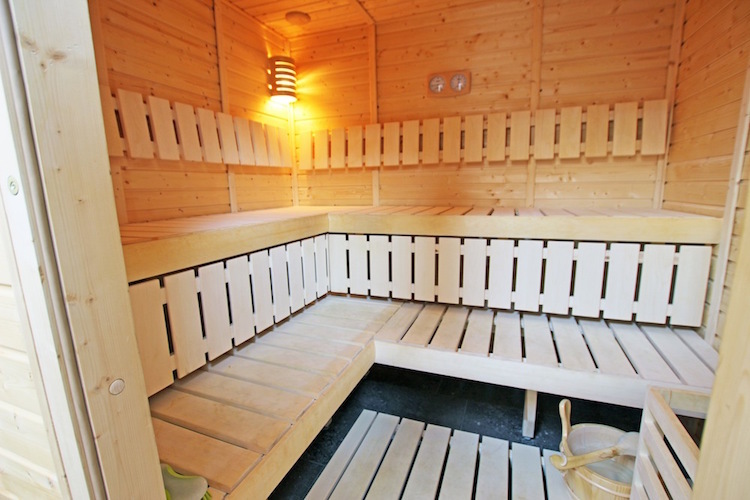 Private use of the sauna or hot tub (ages 18+ only) can be booked directly with the owner during your stay at £15 per session for an hour in the sauna or 90 minutes in the hot tub. Set deep in the heart of the Kentish Weald, yet only 20 minutes from many of Kent’s main attractions including the famous Canterbury Cathedral, Sissinghurst and Leeds Castles. Ashford, with its fantastic rail and motorway links to the rest of the County (including London and the continent! 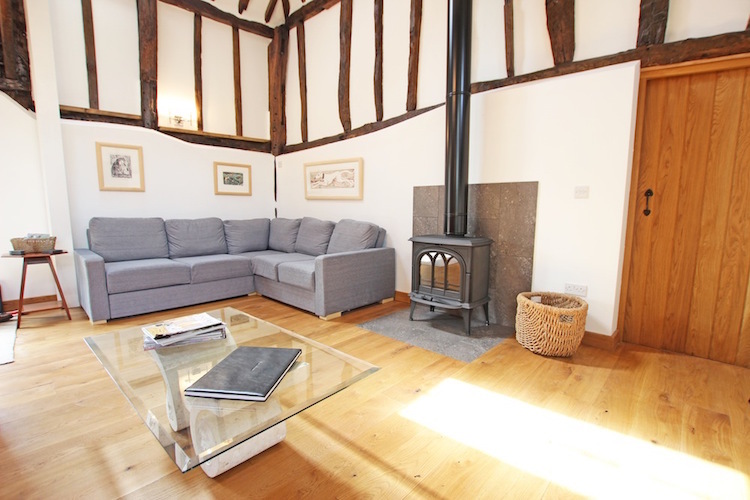 ), and the quaint town of Tenterden, with its boutique shops and great restaurants are within easy reach. Visit the many stunning villages that lay in this lovely part of Kent including Woodchurch, just 2 miles away. The Romney Marsh is close by which leads onto a great stretch of coast including Camber Sands and Rye, all within half an hour’s drive. 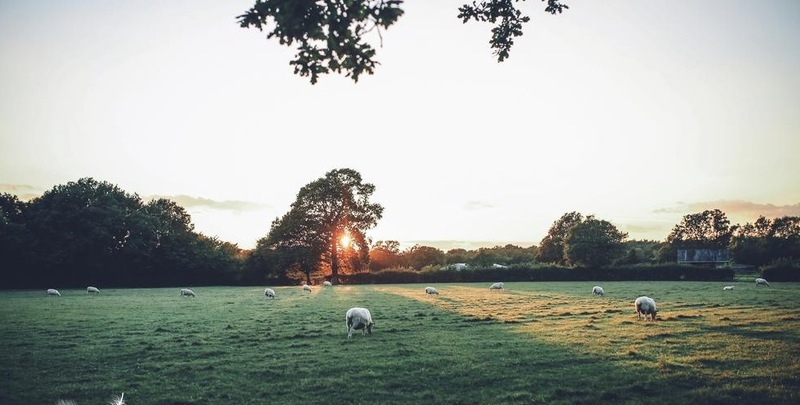 There are many great walks within close vicinity of the property – 50 acres of meadows, wooded pasture and ancient woodland which you have full access to and a further 12,500 acres of forest to wonder beyond. Wildlife abounds including deer in the woods, nightingales in spring, bats and owls in the evenings, as well as the farm animals. Don’t miss eating at the Kings Head pub which is very popular with locals and a short walk from the barn as well as a pamper session in the farm spa which is also on your doorstep.